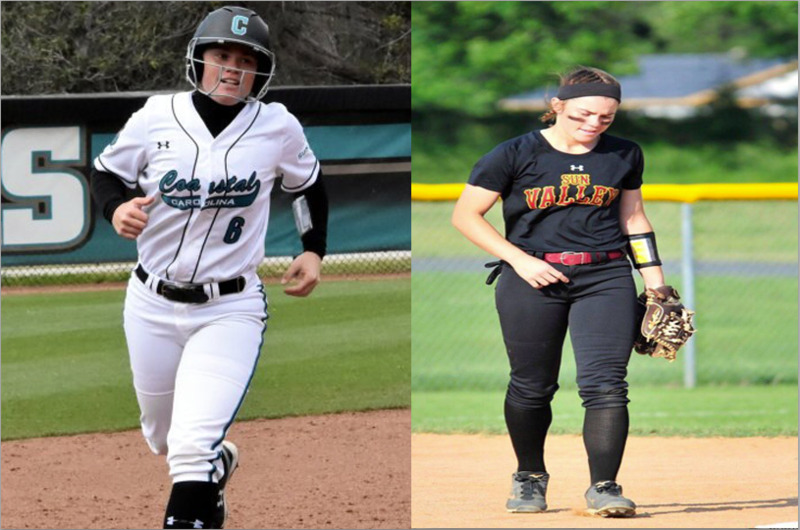 As a freshman at Coastal Carolina Courtney started 47 of 50 games and led the Chanticleers with a .345 avg with 50 hits, 3 2B’s, 3 3B’s and 15 homeruns while knocking in 39 runs. Dean was named All NFCA region 2nd team and All Sun Belt Conference. Dean was a three-time All-State, All-District, and All-Conference selection honoree. Dean was the 2017 UCHSSoftball.com’s MVP and 1st team All-UCHSSoftball.com. Ms. Dean finished her stellar senior year by hitting .475 on the season with 48 hits, scored 29 runs, knocked in 34 RBI and smacked 3 HRs for the Spartans. Courtney was named to the 2017- ALL-UCHSSoftball.com’s 1st team, 1st team ALL-SCC & SCC Player of the Year. Courtney helped lead the Sun Valley Spartans to a 19-8 record, and to the 3A State Semi Finals! As a junior, Dean hit .457 while having 42 hits and leading Union Co. with 33 runs scored. Ms. Dean recorded nine doubles and 14 RBI. She aided the team to a Conference Tournament Championship and advancing to the third round of the state playoffs. Dean was named 1st Team All-UCHSSoftball.com and was named All-SCC. As a sophomore, she averaged .480 at the plate with 38 hits, 26 runs and knocked in 22 RBI. Courtney led the Spartans to a Regular season and Conference Tournament Championship. Dean was named 1st Team All-UCHSSoftball.com and was named All-SCC.